I’ve just realised it’s been quite a while since I’ve posted anything, though it doesn’t mean I haven’t been a busy beaver. In the last month I’ve knitted Mary Weaver’s Mrs Darcy Cardigan and a little iphone sock. 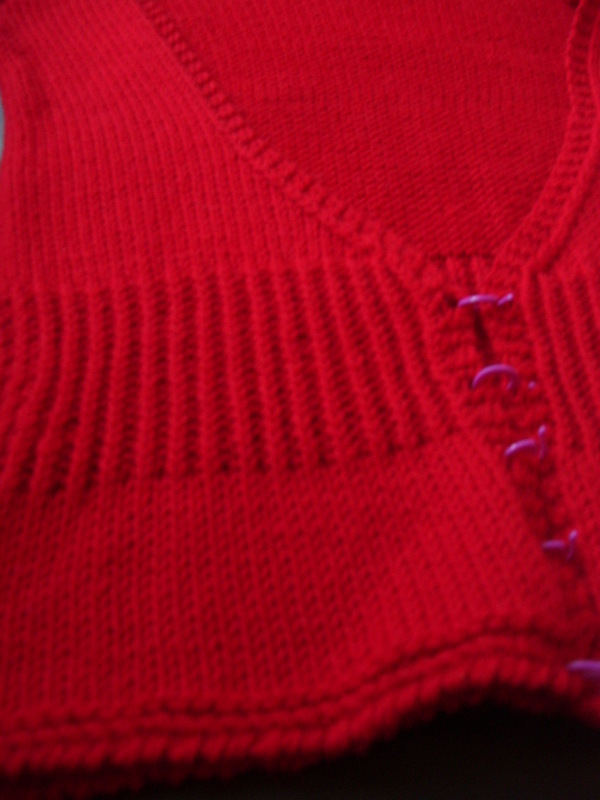 From the moment I saw the Mrs Darcy Cardigan, I envisioned it in a bright red, but my LYS didn’t have a suitable colour. Then, I found Cascade 220’s Christmas Red (colorway 8895) online and decided it was perfect! Although the pattern calls for 900 yards of yarn, a little over four hanks of Cascade 220, I only used three, so now I have enough to knit a little shrug as well. I added some length to the cardigan and made a few modifications; it’s still a bit shorter than I like, but perfectly wearable. If I were to make another one, I would either add a few more rows of garter stitch, or maybe seed stitch at the bottom as it rolls up a lot. While the crochet border looks nice and stabilizes the bottom, it puts the button holes off a bit. 16 rows stocking stitch and 19 rows twisted rib. I haven’t got buttons for it yet, but it looks nice kept open and the sleeves and armholes are quite tight, so I’m not in a massive rush. It also knit up really quickly, I just lost steam on the last sleeve and got distracted by the iphone (it was my husband’s Valentine’s present). 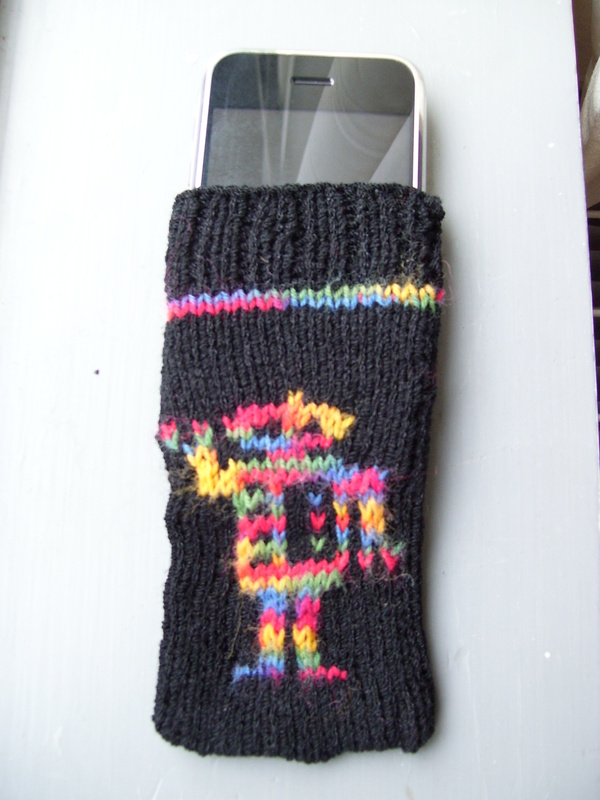 For the iphone case, I used Jennifer Small’s robot chart, knit back and forth and stitched up the side and bottom. It stretches awkwardly because I used intarsia and there’s quite a bit of a difference in the yarns I used (King Cole Zig Zag and a random Secret Santa black). It’s still better than a rip-off, store bought iphone sock.